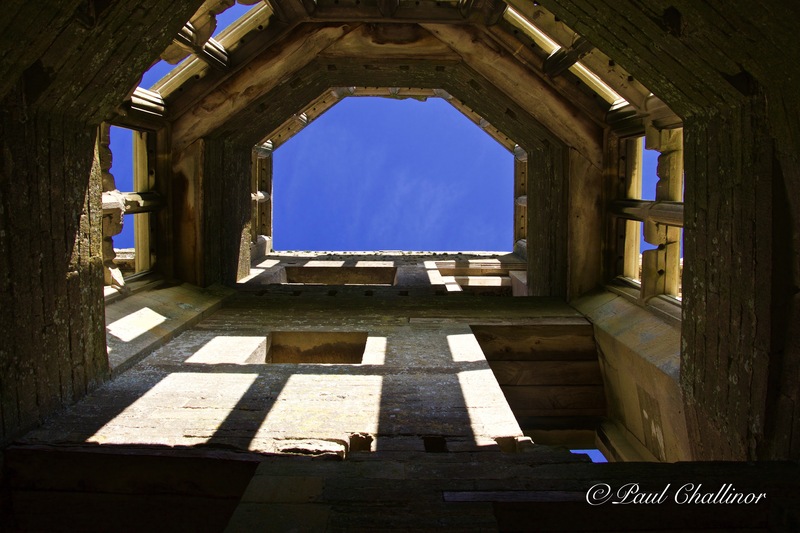 Our second foray of the weekend into the English countryside took us to perhaps one of the most romantic ruins you could hope to come across. After traveling down a narrow single track road we turned off onto a non-metalled road that seem to take us across fields before finally revealing a three story, roofless ruin left in the middle of a large field. Looking across one of the newly restored garden moats towards the ruins. Lyveden New Bield was built by Sir Thomas Gresham, the fervent Roman Catholic, during a time when being a catholic was not perhaps the safest of religions to hold during the 1600’s in the UK. The exact date is unknown but can be estimated to circa 1604–05, the year of Tresham’s death. 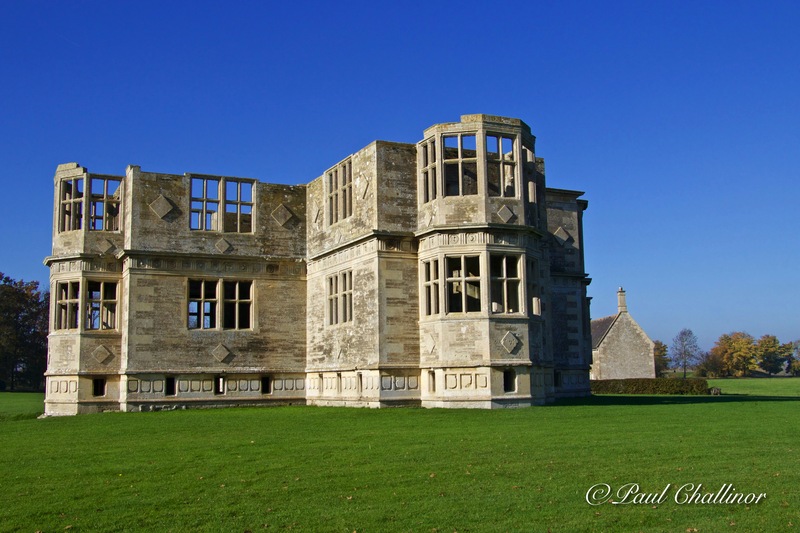 The New Bield was on the estate of Tresham’s second home, Lyveden Manor House, also known as Lyveden Old Bield. Money didn’t seem to be lacking when he started building it. 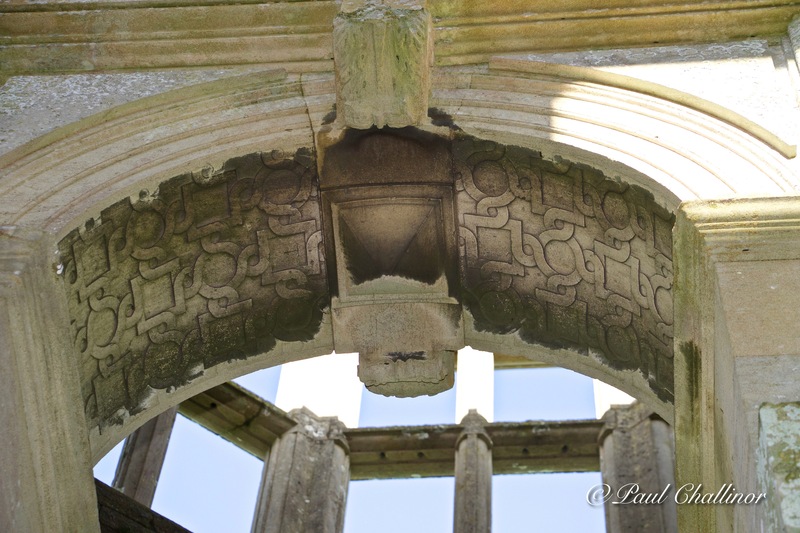 Detail of one of the door arches on the first floor. Although it is large, with many rooms, it is thought this was designed to be spectacular garden lodge. I can tell you my garden shed is nothing like this. It is full of religious symbolism. Designed on a plan reminiscent of a Greek Cross, the facades have a strict symmetry. The building has two floors above a raised basement, with mullioned and transomed windows. Each floor had three rooms with a staircase in the south projection of the cross. The exterior of the building is decorated by friezes of a religious nature. 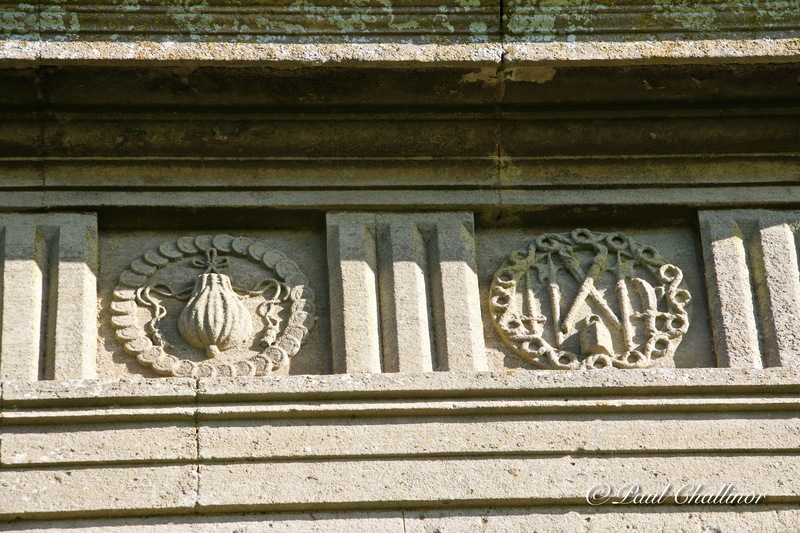 Detail of some of the carving that surrounds the whole building. These remain in excellent condition, despite being over 400 years old. But why was it never finished, they obviously had the money. Well this shows you why it is necessary to make sure you pick the right side when planing a revolution. 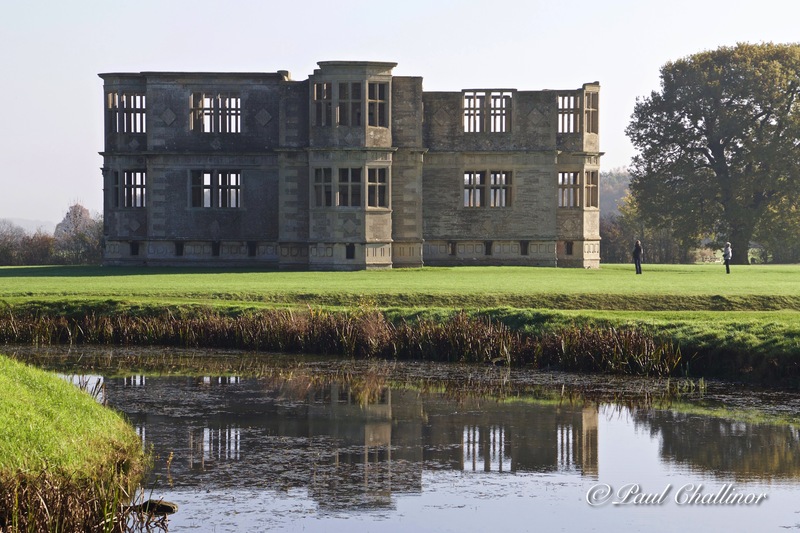 After Thomas Greshamns death in 16015, his son Francis Tresham inherited the estate, but within the same year, along with his cousins Catesby and Wintour, became involved in the Gunpowder Plot. So that was the end of him! Looking up through the floors. Surrounding the lodge are the remains of a garden. Tresham designed extensive gardens between the manor house and the New Bield, but for centuries little evidence of the gardens remained. In 2010, National Trust experts studying photographs taken by the Luftwaffe during the Second World War discovered the remains of an Elizabethan labyrinth, garden and orchard in the grounds. 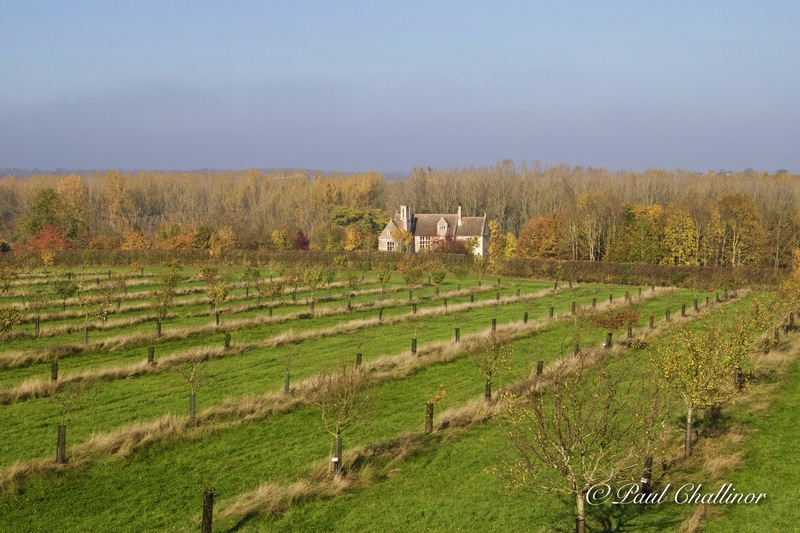 Restored orchards. The planting is based upon archeology. not much left on the trees to munch on though. 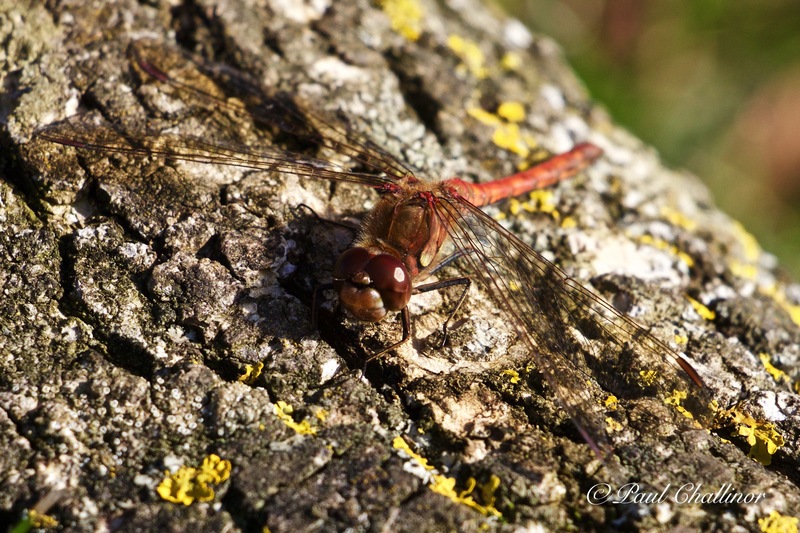 A Ruddy Darter Dragonfly. The sun had brought these out, and there were a number of them still patrolling near the moats. 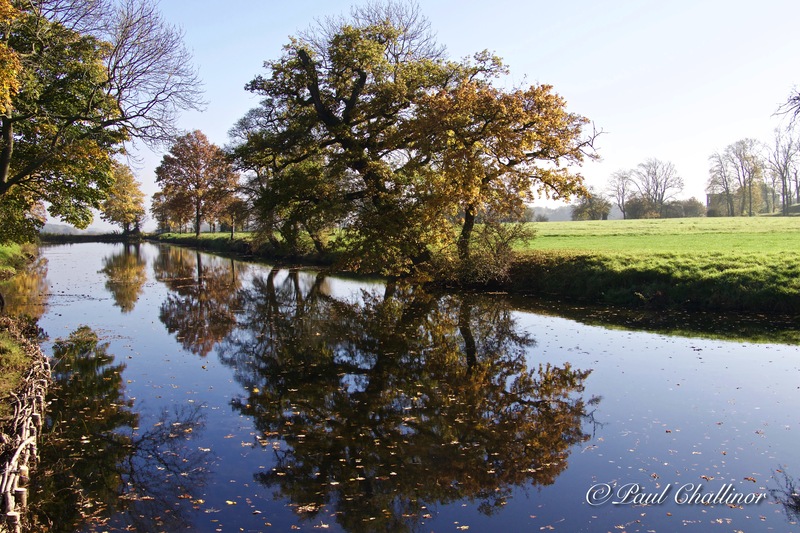 Autumn colours reflected in the moat.